LSD-25 -- commonly known as "acid" -- is so potent that it takes only a microscopic amount to cause a trip. Acid's remarkable effects on the mind have made it the most controversial drug of all time. 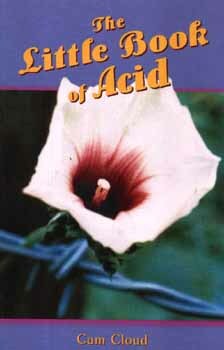 The Little Book of Acid offers a wealth of unusual, hard-to-find information about plant sources of LSD-like chemicals. It describes the psychedelic properties of these plants and how they were discovered. It explains how these plants are cultivated and how the harvested materials are prepared or extracted to bestow acid-like trips.